Focusing on increasing retail product sales can benefit your medical spa in a number of key ways, but once you’ve decided that you want to make this a larger part of your business, where do you get started? When choosing products, you want to make sure that what you are bringing in not only fits in with the brand direction of your busines but also that the products match the services you offer. Proper use of a skin care program can produce better treatment results for your patients. You don’t necessarily have to stop at treatment products, however. A few on-brand retail pieces that don’t require a recommendation to buy can help create a more full experience for your customers. Are you a luxury brand? A wellness brand? You might consider dedicating some shelf space to items that reinforce this message. Major retailers know that engaging customers through multiple senses can yield benefits in retail sales. Visually interesting displays combined with calming music or scents that match the scents of some of your products provide subtle boosts for retail sales. Small changes to the layout of your space can also make a difference. Do you keep the lion’s share of your product behind a counter or in a locked case? This will impact your sales since people like to look at and hold things as they consider buying it. She emphasizes concrete expectations, measurable goals, sales systems and team coaching when setting up a business for retail success. Selling product is one of the keys to increased profitability in medical spas, and if you’re looking to get into the industry, it’s a core principle you need to be familiar with. Durocher and Soukup will both be speaking about the importance of product and team training at the Medical Spa Business Summit at the Skin Inc.’s Face & Body spa expo and conference, both at Northern California and Southeast. Sign up today to learn more about breaking into the booming medical spa industry. 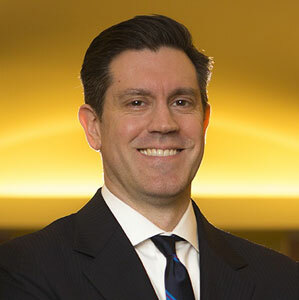 Alex R. Thiersch, J.D. is the founder and director of the American Med Spa Association, an organization providing legal and business resources to medical spas and medical esthetic practices. As a lawyer, he specializes in representing plastic surgeons, medical spas and esthetic professionals on the relevant laws and regulations affecting the medical esthetic industry.